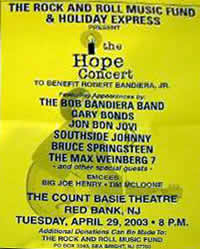 Billed as "The Hope Concert," the event was a benefit for Robert Bandiera Jr., son of the local band leader and guitarist Bobby Bandiera, a longtime colleague of Springsteen and Bon Jovi. Bobby Bandiera and his band are the house band. Leads vocals are taken by Southside Johnny on "A Change Is Gonna Come". 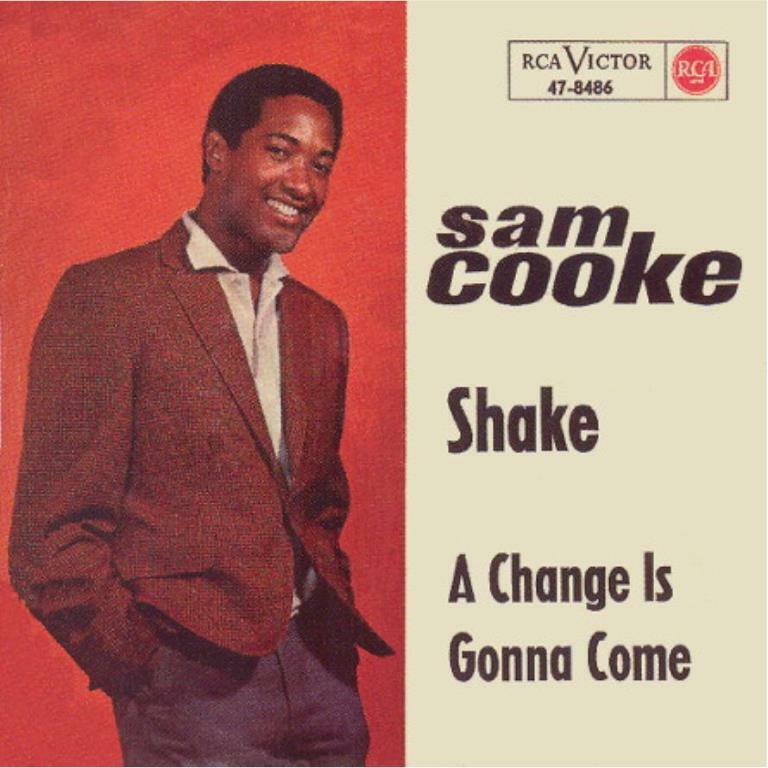 "A Change Is Gonna Come" is a song by American recording artist Sam Cooke. It initially appeared on Cooke's album Ain't That Good News, released March 1, 1964 by RCA Victor; a slightly edited version of the recording was released as a single on December 22, 1964. Produced by Hugo & Luigi and arranged and conducted by René Hall, the song was the B-side to "Shake". The song was inspired by various personal events in Cooke's life, most prominently an event in which he and his entourage were turned away from a whites-only motel in Louisiana. Cooke felt compelled to write a song that spoke to his struggle and of those around him, and that pertained to the Civil Rights Movement and African Americans. The song contains the refrain, "It's been a long time coming, but I know a change is gonna come." Though only a modest hit for Cooke in comparison with his previous singles, "A Change Is Gonna Come" is widely considered Cooke's best composition and has been voted among the best songs ever released by various publications. In 2007, the song was selected for preservation in the Library of Congress, with the National Recording Registry deeming the song "culturally, historically, or aesthetically important."